AN EVOLUTION IN REAL-TIME GAMING! Survive the deadly maze as you struggle to keep up in the race against time! 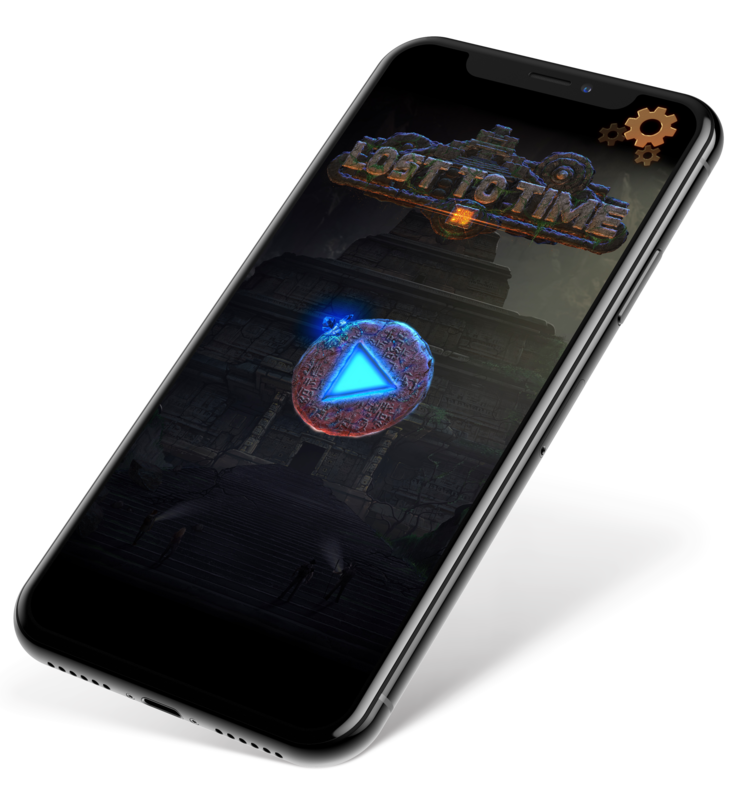 Lost to Time is an engaging real-time board game that combines physical elements such as tiles, dice and the game board itself with digital components on a unique app. In this collaborative and strategic experience, you and your team of up to four players are fighting to survive a deadly maze in a mysterious Mayan temple. Your team will get approximately 15 minutes to work together build paths to find the four Golden Keys hidden in each corner of the temple. You will roll a set of dice to perform various actions around the temple, while also receiving digital inputs and prompts from the integrated in-game app. Your objective? Bring all four Golden Keys back to the center console to unlock unimaginable treasure! Our innovative app allows players to complete immerse into the game by invoking the atmosphere using cinematic soundtrack and abient sounds. Be sure to download the app from the App Store or Google Play.